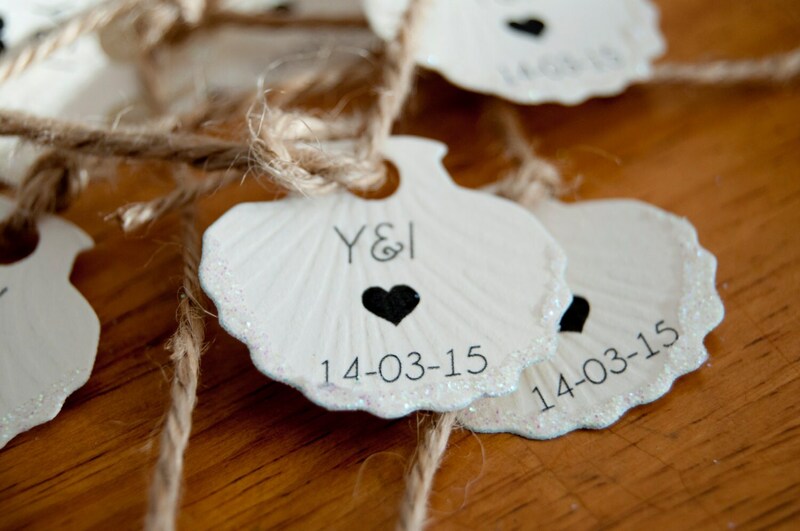 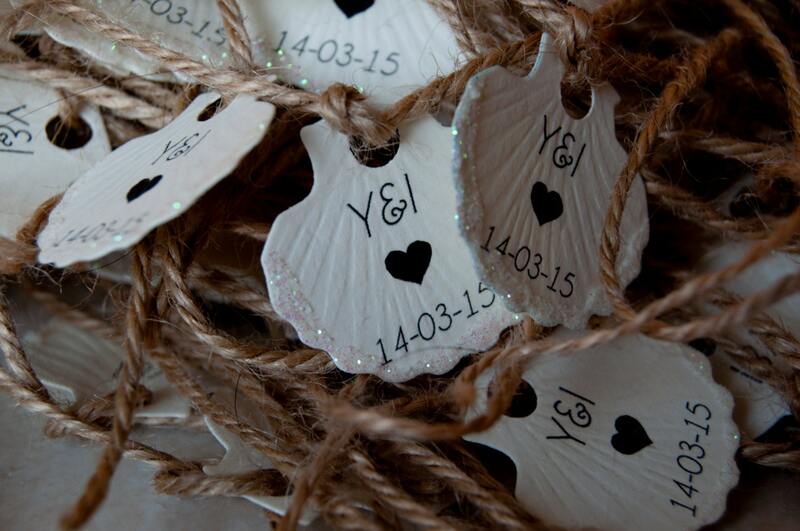 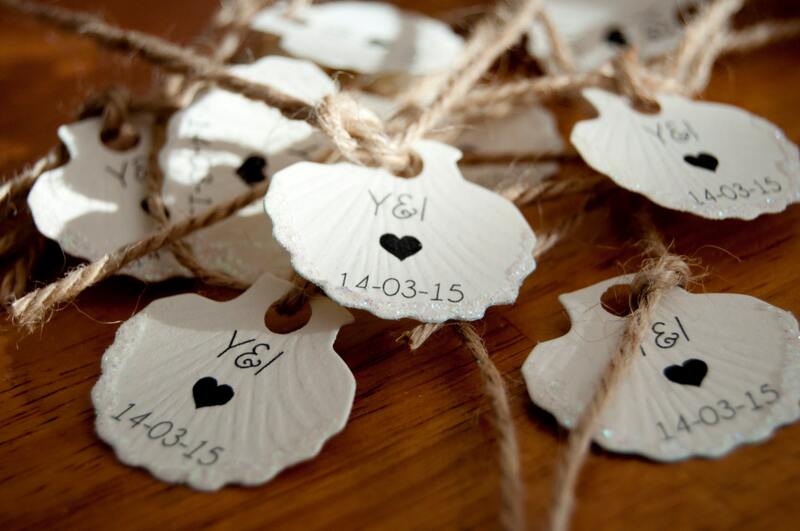 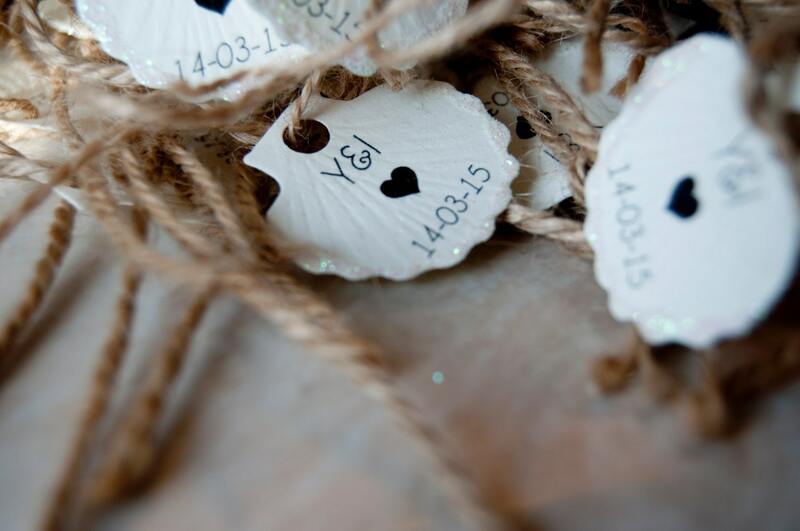 These cute under the sea theme embossed shell tags are so unique and personalized to your choice, this is all you need to add that personal touch to your wedding. 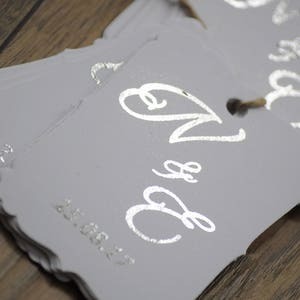 Each tag is hand made, the card is die cut. 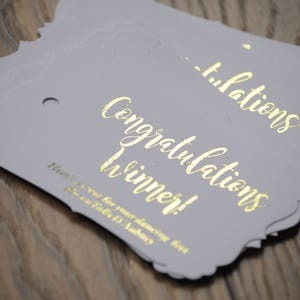 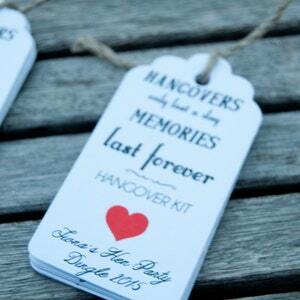 They are printed in black, The card comes in white or cream. 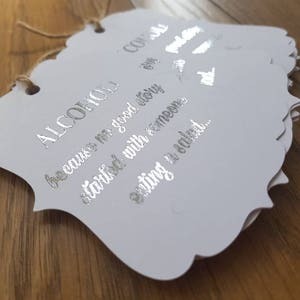 If you wish to change the writing to make it personalised you can do so. 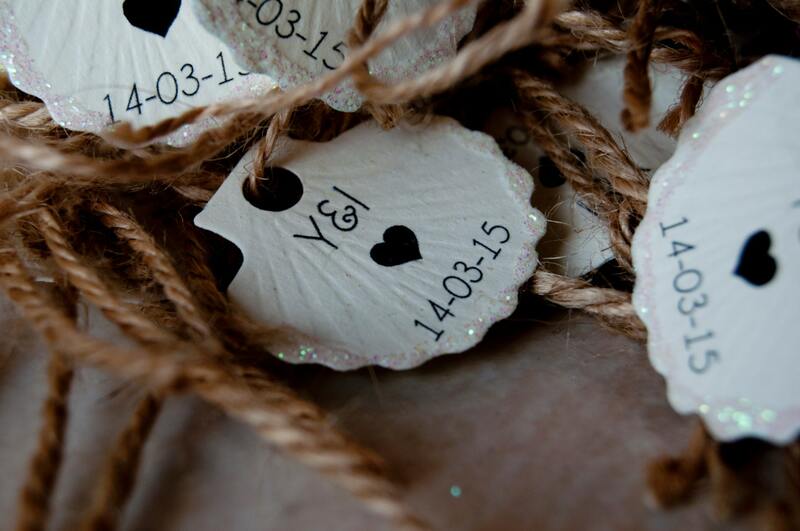 Each tag is finished off with twine and glitter.